As a facilitator, I consciously create space and discuss how we are going to talk. As an educator, I spent years learning about how we learn. This led me to multiple intelligences, emotional intelligence, problem based learning and community based service learning. For example, I wrote about the parallels between problem based learning and restorative justice. I appreciate and often use the saying: “we can’t get to a good place if we don’t go in a good way”. So I am grateful to have just participated in a world class event where the organizers put a great deal of time and energy into how we met and engaged with one another. As I wrote in my last blog, I was invited to present at the first international symposium on restorative justice and human rights in Greece. It was one of the best professional gatherings I have had the honour of attending. 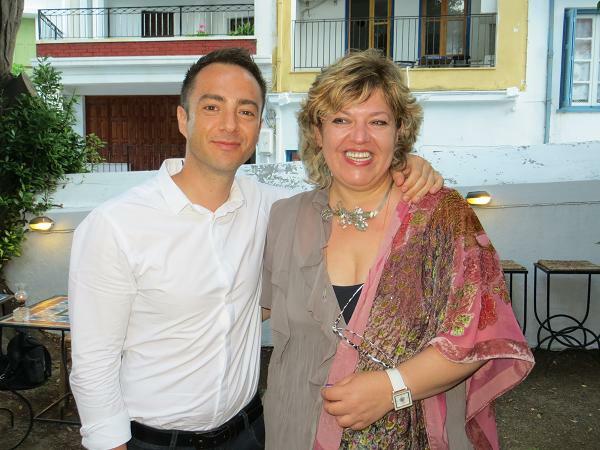 Co-organizers, Dr. Theo Gavrielides and Prof Vasso Artinopoulou, had a vision of bringing experts from around the world together to advance knowledge and practice in the fields of restorative justice and human rights. These two fields, funny enough, have been developing in parallel with little engagement. The event was far from the typical conference where you have multiple sessions running at the same time with presenters given about 15 minutes. 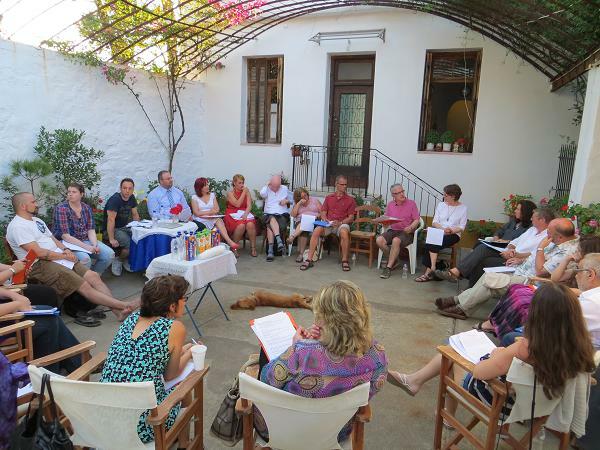 This was a symposium inspired by Greek traditions of dialogue. It was by invitation only, with a total of 21 participants and we stayed together as a group. Each presenter was given an hour and free rein to do whatever we liked with our time. The invitation was to step outside of our comfort zone, to share current ideas and questions and importantly, to generate knowledge rather than just regurgitate what we already fully know from our own work. There was no powerpoint (thank the gods!). To support us in getting outside the box and having true dialogue, the organizers realized that the physical environment matters. I found that like in my circle work, attention was quietly given to the physical, mental, emotional and spiritual. 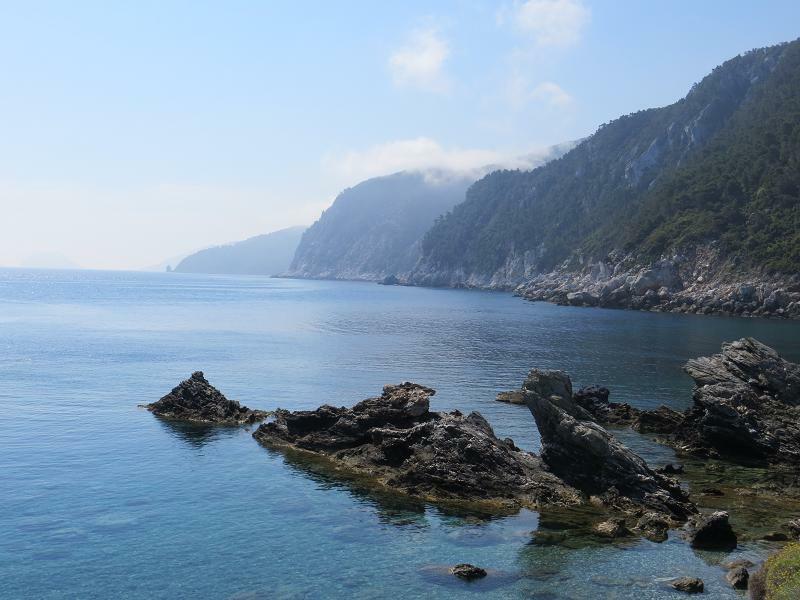 Each day, we met in different locations around Skopelos Island. We held sessions on two different beaches, in a monastery, museum, bar, courtyard of a private residence, and an exquisite artist’s villa. The scenery was diverse, often breathtaking and certainly inspirational. It was also not always comfortable. I noticed some presenters struggled more than others with their invitation. There was a diversity of presentation styles, with some reading a pre-written paper and others doing activities. I know I was challenged. I rewrote my presentation twice, including at 6 am in the morning when I presented on the second day! In the end, I’m proud of myself for choosing to hold a circle and taking chances. It was not a polished presentation, which is what was most uncomfortable. I realized though that this was a rare gift to be in the presence of twenty other experts, academics and practitioners, where we could grapple with what is of personal and professional interest. My hat goes off to Theo and Vasso. Congratulations for this incredibly successful event! It was really you two who took all the risks. And did all the work. You had an idea and did everything you could to take us toward your vision. It then became up to each one of us to show up and step up. Or not. Life and leadership is like that, isn’t it? We can create an invitation and a space, open a door to possibility, and then we must respect each other’s choices. It really is about the journey, not the destination.